Did everyone have a fun Memorial day weekend? We had a great one with friends and family, lots of fun and lots of food. This week will be a leftover food week. In order to enjoy the party ourselves too, we decided to smoke the meat so we don't have to work in front of the grill. Gigantic smoked brisket and ribs. Mmm..yum. While they're getting smoked in the smoker, we were able to sit down with our guests the whole time and enjoyed delicious appetizers and a nice conversation. I made this appetizer for last Christmas for the family and it was a huge hit. I somehow never tried goat cheese with honey but man, this opened up a whole new world! I've always loved sweet and savory together and this really hit the spot! Original recipe from homeiswheretheboatis soaked the apple in pineapple juice and drizzled honey instead of mixing it in but I found this easier and less messy to eat. 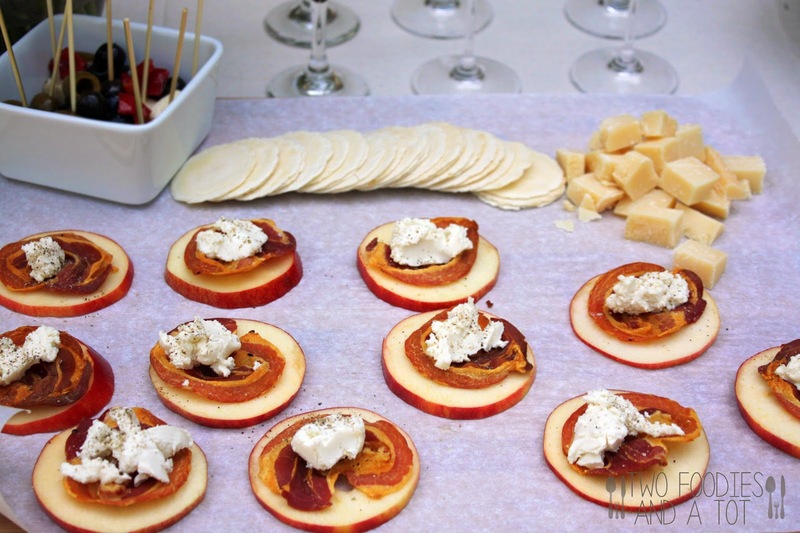 Fresh, crunchy apples with crispy and savory pancetta topped with goat cheese with a hint of honey. Enjoy! 1. In 450F oven, place a foil-lined pan with pancetta and bake for 8-10 minutes or until golden. Transfer the pancetta to a paper towel-lined plate and cool until crisp. 2. Slice the apples into 10-12 slices. and using a small cookie cutter, core the slices. 3. Squeeze lemon juice on the apple slices and coat to keep them from oxidizing. 4. in a small bowl, mix goat cheese and honey. 5. 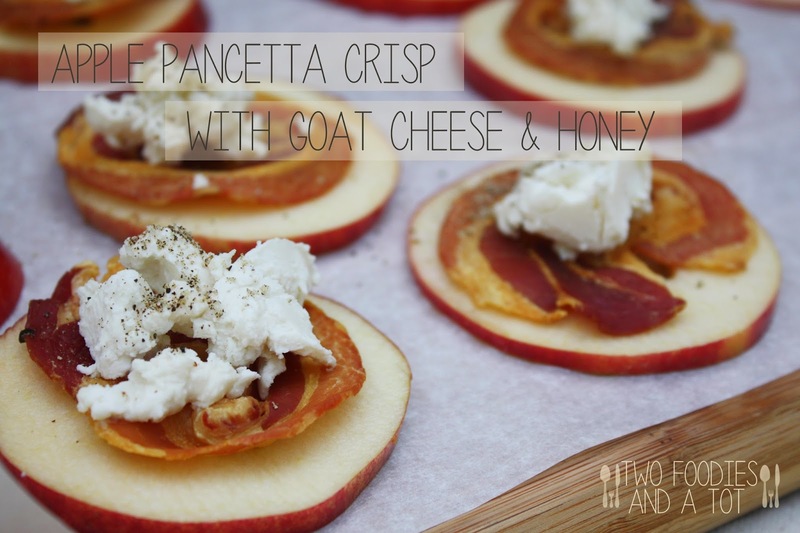 Arrange apples on a serving platter, top each apple slice with pancetta and a dollop of goat cheese and honey mixture and sprinkle with pepper.